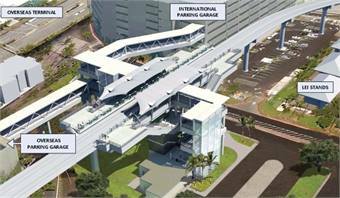 HONOLULU — CityLab wrote a story about the Honolulu Authority for Rapid Transportation’s (HART) $5.2 billion light rail system as well as its features, including being the first fully-automated wide-scale urban transit system in the U.S. Instead of human drivers, a centrally-located computer system will control stops, departures, and speed, and even open and close doors. HART officials expect operations to be cheaper and safer. For the full story, click here.